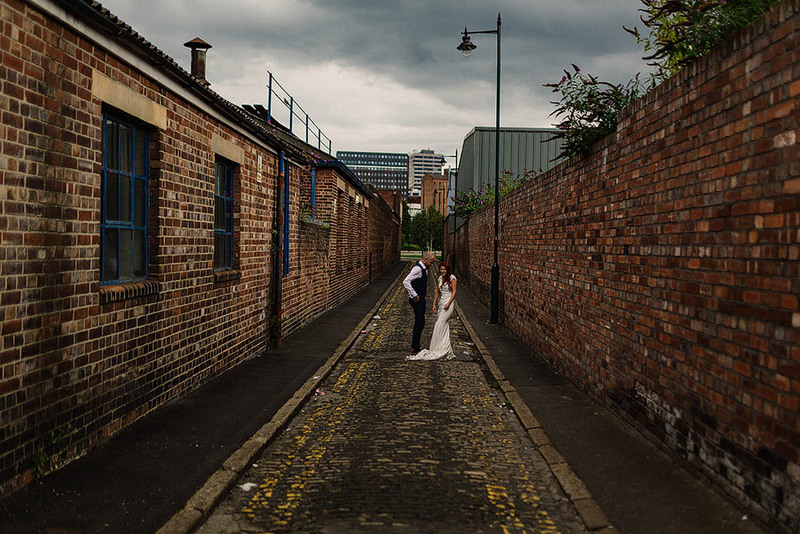 We were SO excited to help supercool Laura and Dave celebrate their big day, we knew as soon as we met them, it'd be a fabulous celebration! 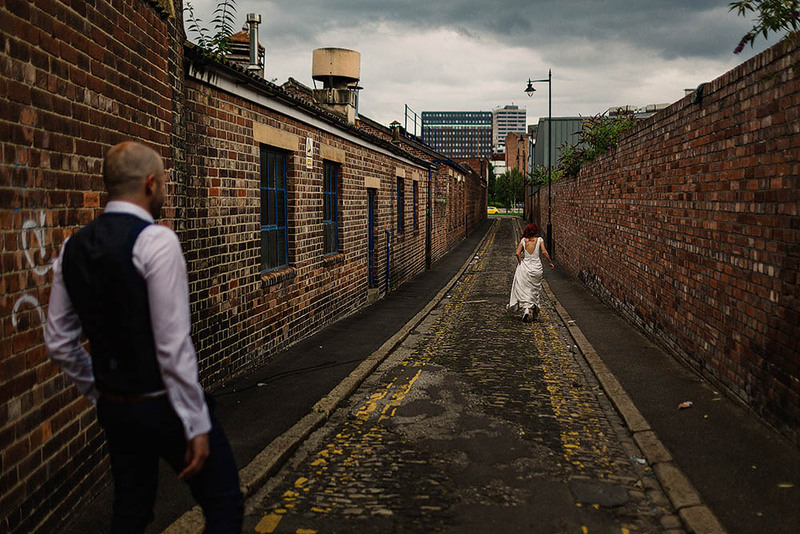 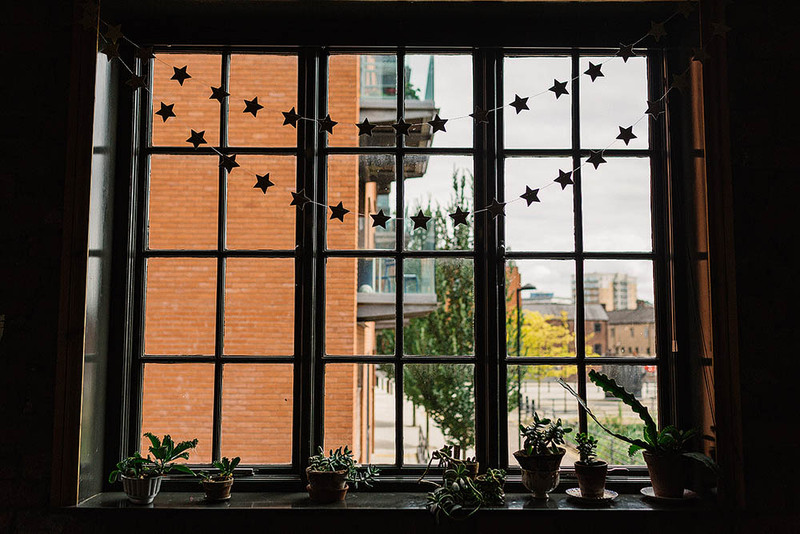 The stylish couple started their day with a wedding ceremony at Sheffield's Botanical Gardens, then arrived at The Chimney House for fizz on the cobbles next to our waterway... their photographer Paul Joseph Photography snapping away in and around our gorgeous industrial location. 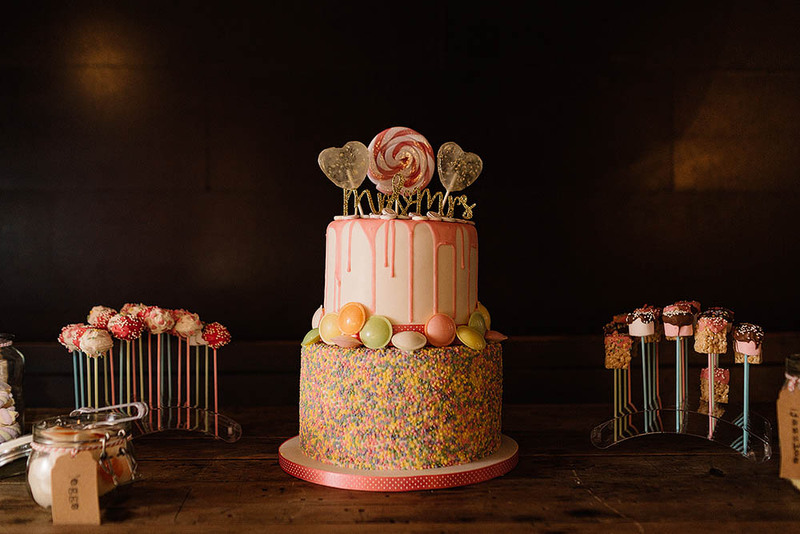 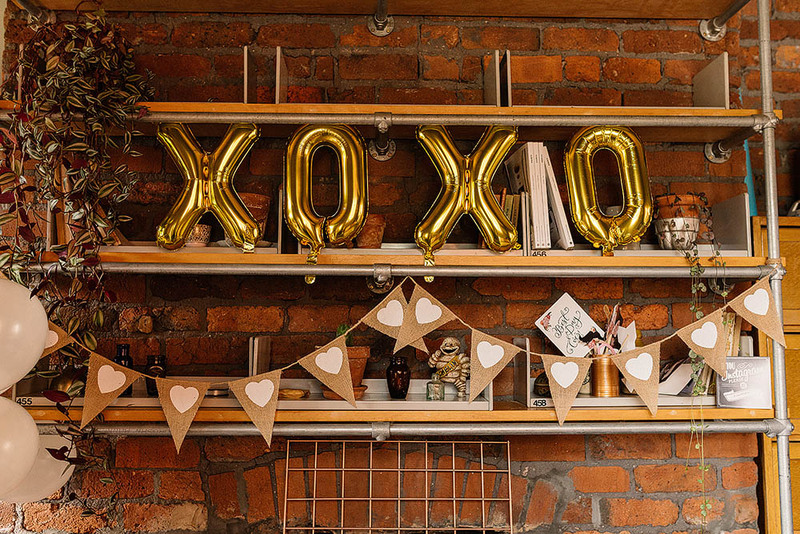 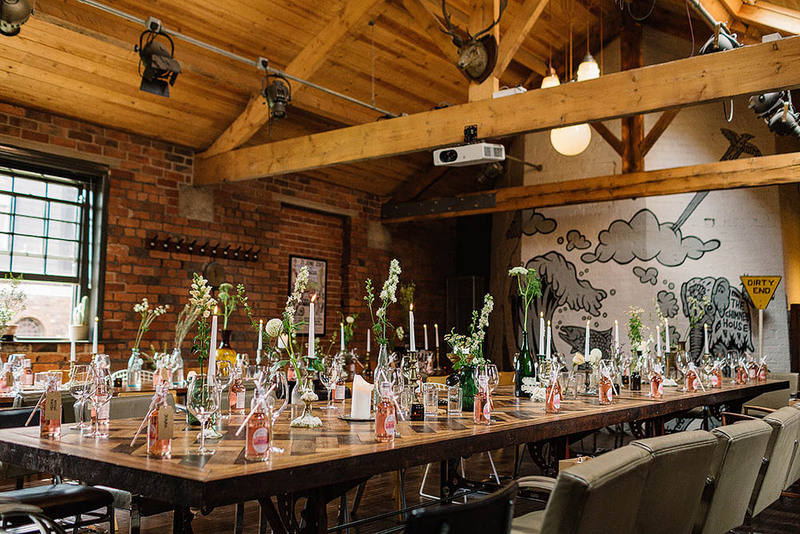 Laura and Dave had put thought into every detail of their Sheffield wedding day, from the rose lemonade table favours, to the pick and mix sweetie table, and the DIY photobooth in our Living Room. 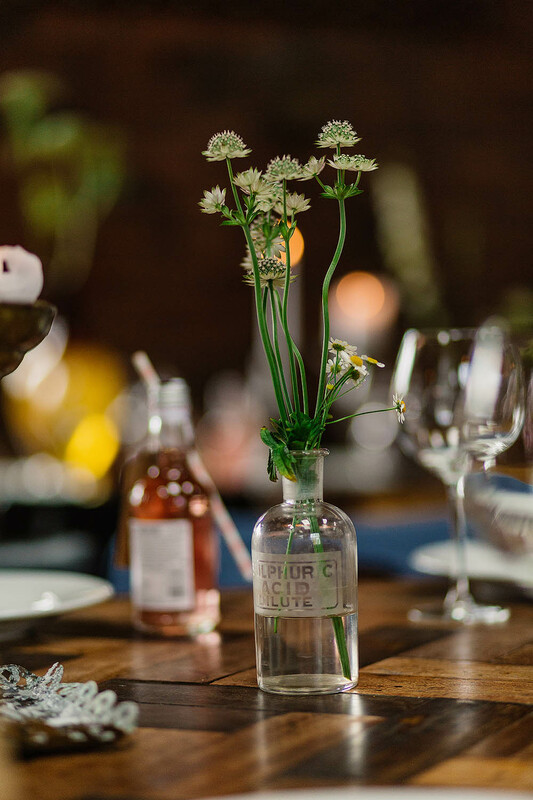 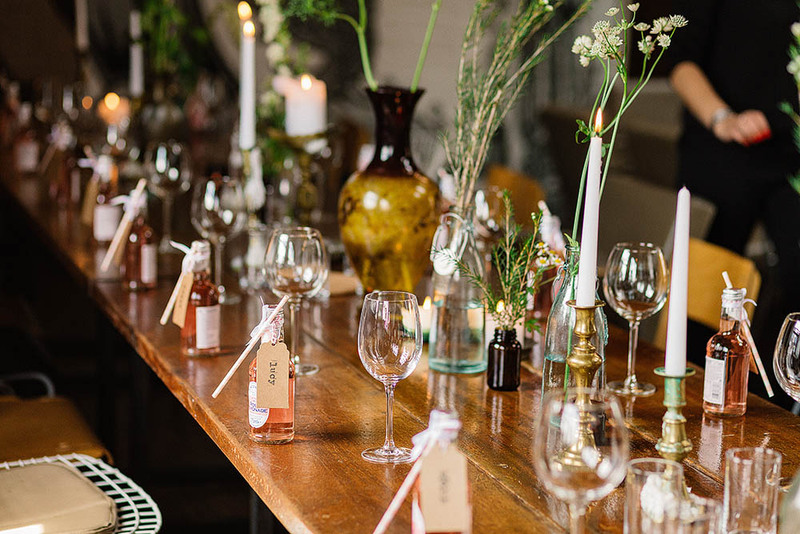 We dressed our bespoke tables with mountains of candles, and beautiful wild-flowers in our antique vases. 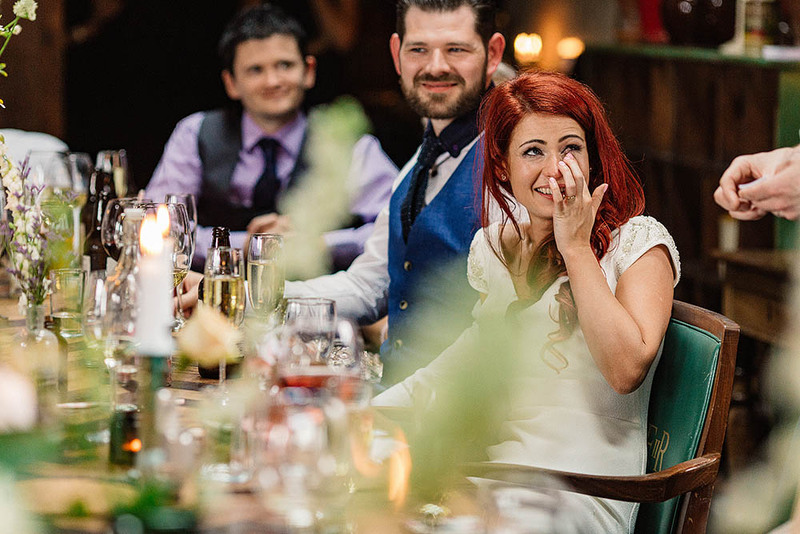 We were delighted to help the couple begin their marriage with an epic feast; short rib of beef slow cooked with wine, garlic, chestnut mushroom and parsley, slow cooked chicken with chorizo, chilli and garlic with sweet potato, courgette and baby spinach, roast aubergine with homegrown chilli, miso and pomegranate molasses served with a white bean, artichoke and olive sauce, new potatoes roast with rosemary and sun blushed tomatoes, roast beetroot, red onion & watercress salad, chargrilled squash salad, with puy lentils, halloumi and balsamic dressing and freshly baked bread loaves and pats of butter. 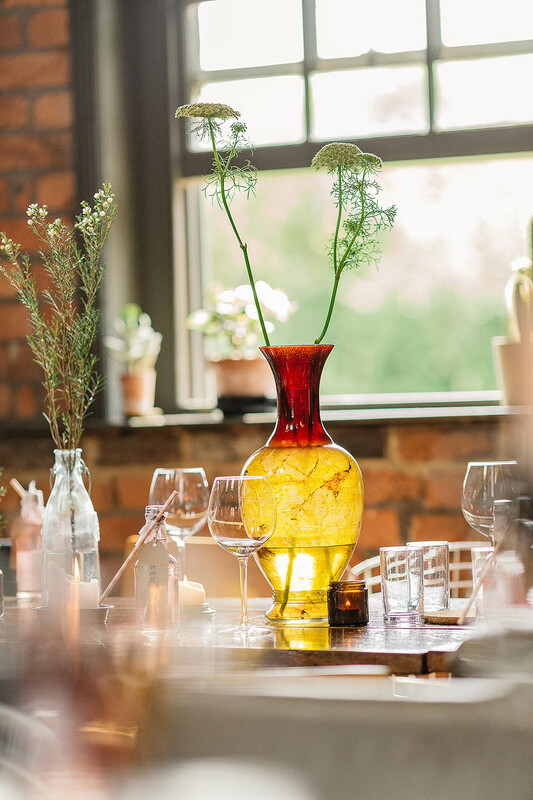 Finishing up with the most incredible rhubarb compote spiked cre?me brulee, ready for cracking. 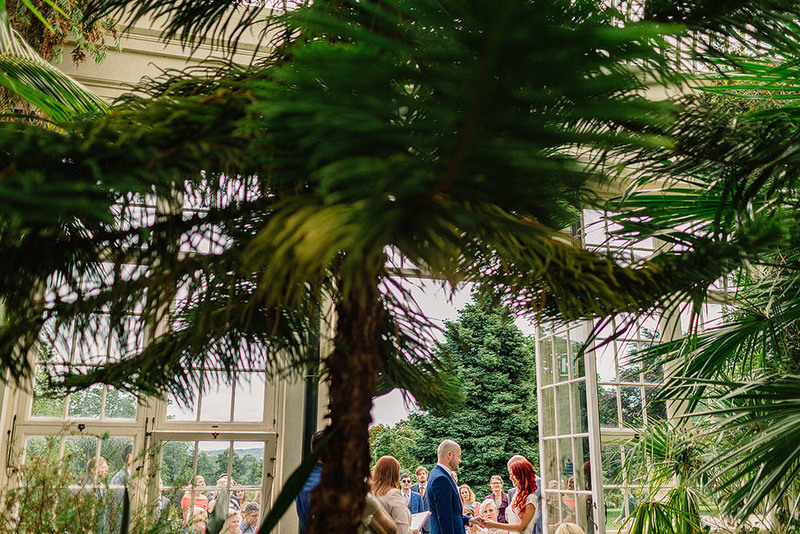 Take a peek at lots more pics from Dave & Laura's day by Paul Joseph Photography on the Rock My Wedding blog HERE. 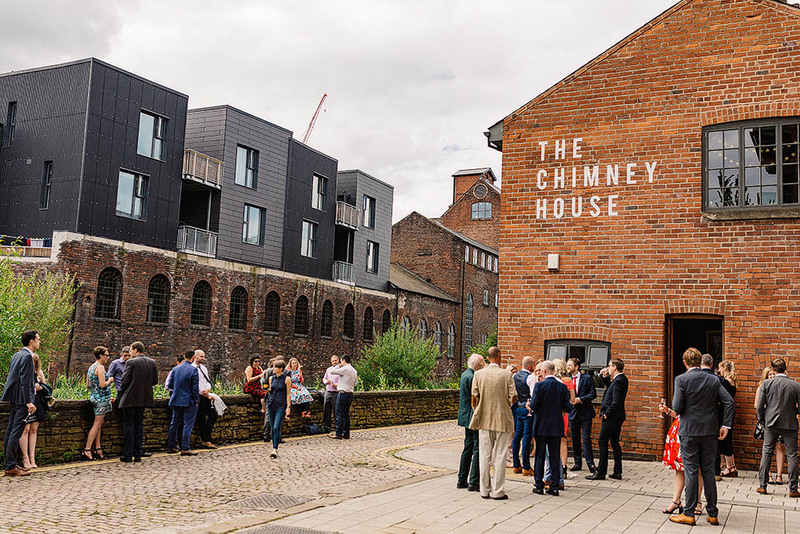 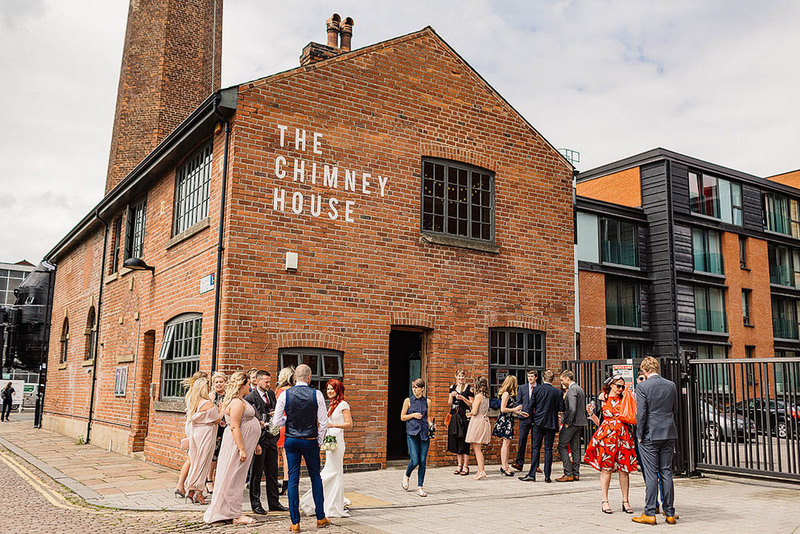 We feel so honoured to host so many wonderful couples in our beautiful Sheffield wedding venue, get in touch, call us on 0114 2767 885 or email at info@thechimneyhouse.com to plan your perfect day!